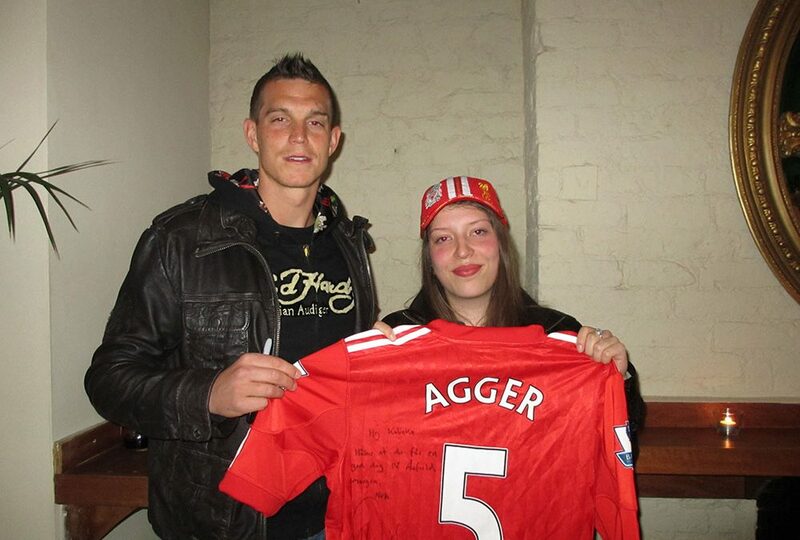 The Agger Foundation was approached by Make-A-Wish Denmark who wanted to fulfil the wish of Katinka Laura. 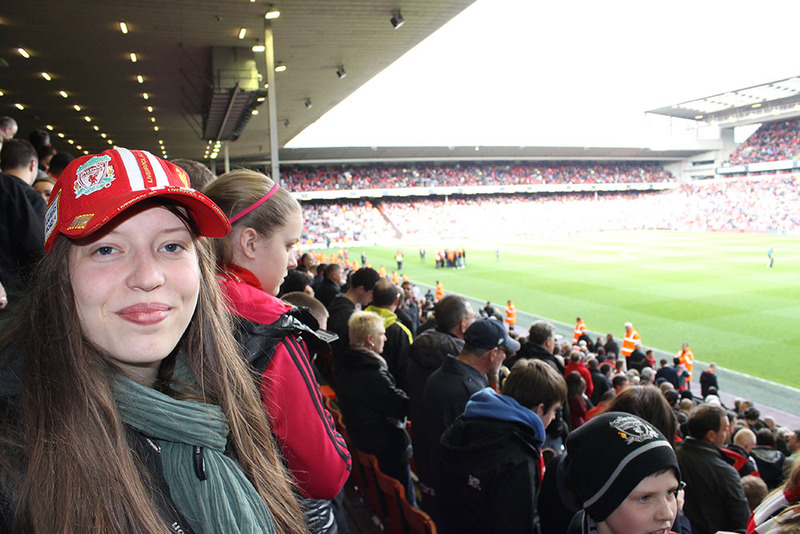 She dreamt about meeting Daniel Agger and watch Liverpool FC play a match on Anfield. Together they arranged for Katinka Laura to have her Liverpool trip realised. 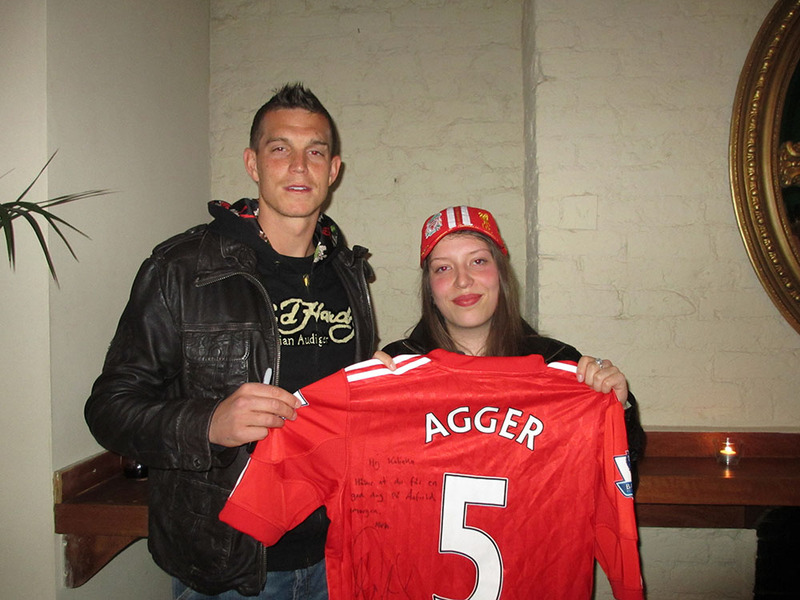 After making the journey over from Copenhagen she met with Daniel Agger. Daniel presented her with a signed shirt that also included a little message. The day after Katinka Laura had the never forgetting experience of watching Liverpool FC play at Anfield. 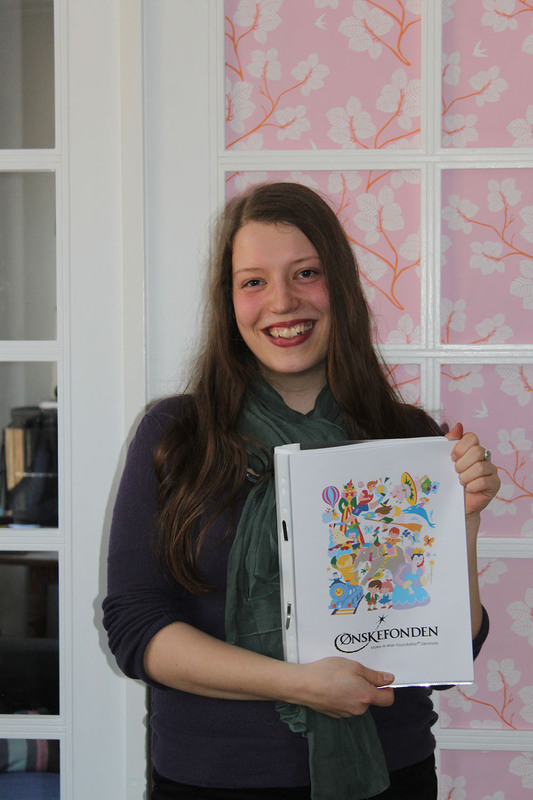 Make-A-Wish Denmark full fills wishes for children between 3-18 years in Denmark with life-threatening illnesses in order to create hope, strength and joy.